The Palmer Group » Massachusetts Bidding Wars Are Back While Inventory Remains Low. 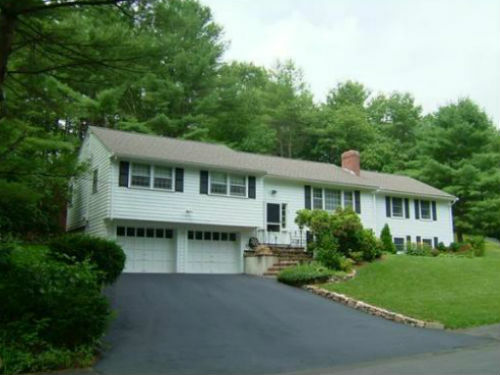 Typical Entry Level Home – 24 Ledgetree Rd, Medfield MA 02052. The entry level into most of the Massachusetts towns that we work and live in continues to be red hot. There are many buyers out there trying to take advantage of the low rates while the inventory of available homes remains low. Recently in Holliston we sold a house in the first weekend with over 30 qualified buyers attending the first open house. We had several offers on the home that night and will be closing on it in the middle of June. Last week I was out in Medfield with a young couple looking at two homes that just came on the market after several weeks of nothing new to look at. While setting up the evening appointments to try and be the first ones to see the homes the listing company informed me that they had 9 showings lined up that day for one of the listings and 5 showings that night for the other. These were brand new listings that just came on the market that morning. They went under agreement very quickly as both were clean listings. If you are a potential seller looking to sell for top dollar give us a call to get your house listed while inventory is low. Check out this New England Cable Network story that aired on May 22nd. Massachusetts Home Bidding Wars Are Back. If you are a buyer looking to buy a home make sure that you react quickly to new listings and have all your ducks in a row including being pre-approved to buy. You will not be able to wait to attend open houses and will need to be the first buyer in the door to beat the competition to the punch. Call us for help and we will make sure you are first to get in and provide you with information to make an informative decision. Search For Massachusetts Home Now. When markets are hot it is important not to panick and make a buying mistake. Sellers may be listing their homes with their dream price to sell and they may not always be a wise investment. You need to engage and work with an experienced agent and we would love to help you buy or sell a home. This entry was filed under Buyer Tips, Community Information, Market Trends & Reports, Seller Tips. You can follow any responses to this entry through the RSS 2.0 feed. You can leave a response, or trackback from your own site.